The expression ‘what’s in a name’ – or the slightly more poetic ‘a rose by any other name’ – means, essentially, that a name doesn’t matter. It suggests that it’s the attributes of a person or object that will dictate what it truly is and how it is seen by the world. However, in the world of brands and big business, this isn’t necessarily the case. Company names need to encapsulate something personal but trustworthy. Or have to, at least, offer some relative merit over other options. Why is Nike (originally known as Blue Ribbon Sports) called Nike? Because it’s named after a mythological Greek goddess who personified victory. That sounds a lot better than Blue Ribbon Sports, doesn’t it? With this in mind, we had a look at some of the biggest tech brands and the meaning behind how they got their names. This is a pretty straight-forward one. The word Samsung in Korean means “three stars” and was chosen to represent the virtues of being “big, numerous and powerful” (like stars in the night sky, or so the story goes). Samsung’s first products included dried fish, vegetables, noodles and fruit, although it obviously went on to diversify into a wide range of different industries. Today, it’s best known for smartphones and other consumer electronics, but over the years Samsung has entered the aerospace, insurance and financial industries, among others. It was only in 1987, with the passing of Samung’s founder Lee Byung-chull, that the new CEO (Byung-chull’s son, Kun-Hee Lee) set sights on becoming a top 5 electronics manufacturer. Between 1938 and 1993, each Samsung logo actually featured the three stars in different forms. Since 1993, Samsung has been using its current logo, sans-stars. Despite Nokia’s most recent fate in bowing out of the smartphone market, it’s pretty widely known that it didn’t start life in the electronics business. In fact, in 1865, its first operation was a wood pulp mill at the Tammerkoski Rapids in Finland. In 1868, seeking better water flow, the business opened another mill a few miles away from the town of Nokia on the banks of the Nokianvirta river, which is what inspired the name Nokia in 1871. Clearly, there was no rush for branding back in the late 19th Century. In 1967, it took the formal name of Nokia Coporation and was comprised of five different businesses: rubber, cable, forestry, electronics and power generation. 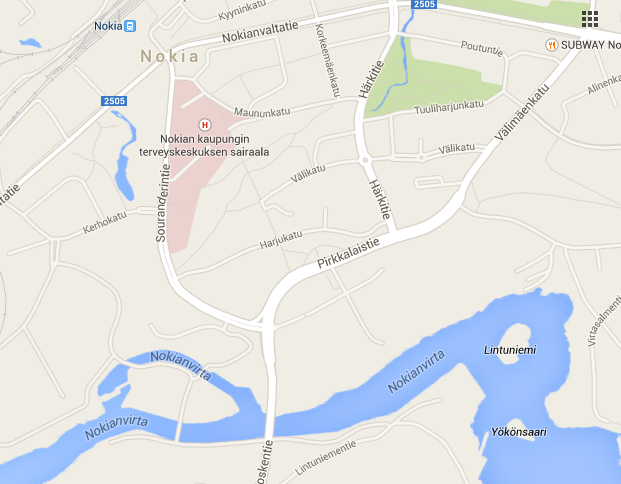 Today, following its sale to Microsoft, there are three businesses left: Nokia Networks, HERE, and Nokia Technologies. As one of the world’s largest companies, Apple obviously attracts a fair amount of attention nowadays, but it wasn’t always that way. In the video below, a much younger Steve Jobs explains how, when starting out, the company had to file “a fictitious business name statement” for official purposes. Suggestions included things like Matrix Electronics, but Apple Computer was finally settled on, with the proviso that it would become the company name if no one else had any better suggestions before the filing deadline. So, why Apple? In Jobs’ own words: “Partially because I like Apples a lot and partially because Apple is ahead of Atari in the phonebook and I used to work at Atari”. In 2007,it dropped ‘Computer’ from the name to become just Apple. Clearly, that plan worked pretty well – Apple is now a global powerhouse, while Atari bowed out of the hardware game long ago. As a bonus nugget, the name Atari comes from a Japanese verb meaning to hit the target, which is pretty apt for a gaming company. Like many of the other companies here, LG Electronics didn’t start life with the name it now has. 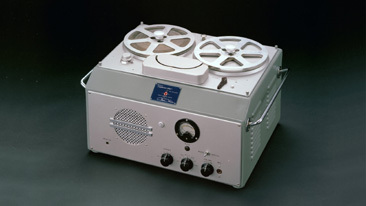 Instead, in 1958, GoldStar was founded in the aftermath of the Korean War with a remit to build electronic devices. Sister-company to GoldStar was Lak-Hui (pronounced “Lucky”), and hence ‘Lucky Goldstar’ was born. This obviously contracts to the LG name we know today, and which is used for the tagline ‘Life’s Good’. In 1995, GoldStar officially adopted the LG brand and logo. Now, the company says it just stands for LG, rather than either Life’s Good or Lucky Goldstar. Most people will tell you that HTC stands for High-Tech Computer, which it once did, but there’s another reason behind the name. In 1997 when the company was founded by H.T. 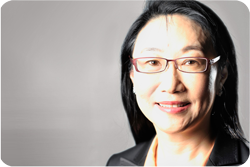 Cho (now chairman) and Cher Wang (now chairwoman) the two decided to use their own initials to form a name – and hence HTC was born. Although admittedly the company could have been named after H.T Cho alone and come up with the same result, anecdotally, an exec did once refer to Wang as ‘the C in HTC’ while in conversation with us. Spotify is an interesting one. 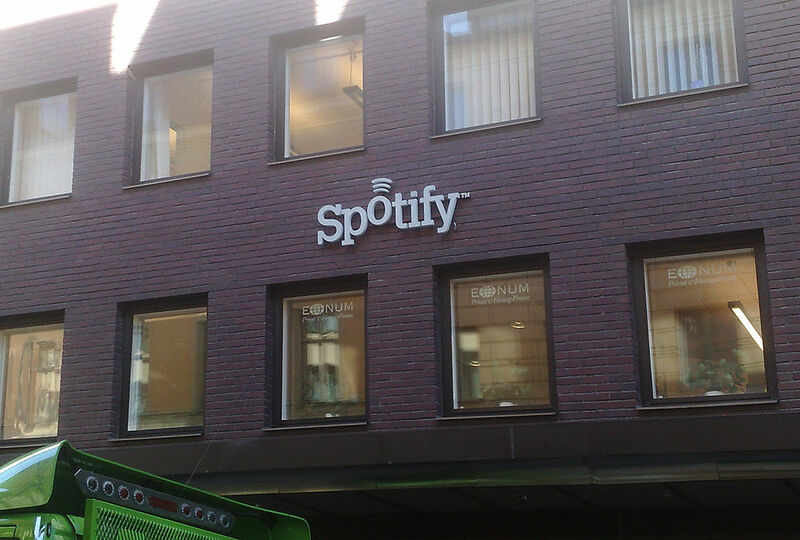 Originally started in Sweden, the word Spotify doesn’t actually seem to mean anything in Swedish (although Google Translate does still attribute it to being Swedish). Instead, the company’s founders Daniel Ek and Martin Lorentzon were sitting around one day trying to think of a name when one of the suggestions was misheard as ‘Spotify’, which then sort of just stuck. When the duo realized there were no Google results for the word and that the domains were available to register, they snapped them up and the rest is history. As the company grew and gained popularity, an “afterconstruction” was sought to give a better story to how Spotify got its name. “We were a bit embarrassed to admit that’s how the name came up so our afterconstruction was to say that Spotify stems from SPOT and IDENTIFY,” Ek wrote. The roots of Sony are another interesting blend of Latin and, well, English slang actually. More specifically, it’s a conjoining of ‘Sonus’, meaning sound and ‘Sonny’, meaning a well-to-do young man. However, this wasn’t the original name. It was founded in 1946 under the name of Tokyo Tsushin Kogyo K.K (Tokyo Telecommunications Engineering Corporation), or simply Totsuko. Its mission was simply research at this point though. The name change came in the 1950s, when the company wanted to take its ambitions global, the trademark TTK belonged to another company. By combining Sonus and Sonny to come up with Sony, the company had an appropriate name without an existing trademark. While the decision was taken to use the Sony logo on products in 1955, it wasn’t until 1958 that it became Sony Corporation. Nintendo is slightly trickier than many others here, so brace yourselves – you may never know the true meaning. Nonetheless, it’s widely cited and accepted that Nintendo comes from the literal translation of the Japanese meaning for “leave luck to fate”. However, The History of Nintendo (1889-1980) – From Playing Cards to Game & Watch by Florent Gorges, suggests that this interpretation might be incorrect. Instead, it suggests that it might be related to the company’s roots as a ‘Hanafuda’ playing card manufacturer in the late 19th Century – 1889, to be precise. Hanafuda literally translates as “flower cards”. What has that got to do with Nintendo? According to the book, the company was looking to introduce a new line of cheaper cards and settled on the name ‘Tengu’. With Tengu being a mythological Japanese folklore often depicted with a large nose. Bear with it. The word for “nose” (hana) is the same as the word for “flower” (hana) when transliterated into English. The History of Nintendo therefore says that Nintendo could then mean “the temple of free hanafuda”, as visitors to Osaka and Kyoto would rub their noses to signal a desire for gambling. In an interesting summation of the issue, Kotaku said that even Hiroshi Yamauchi, the great-grandson of the company’s founder, doesn’t know the truth behind the name, but that ‘to leave one’s fortune in the hands of fate’ was a “plausible explanation”. 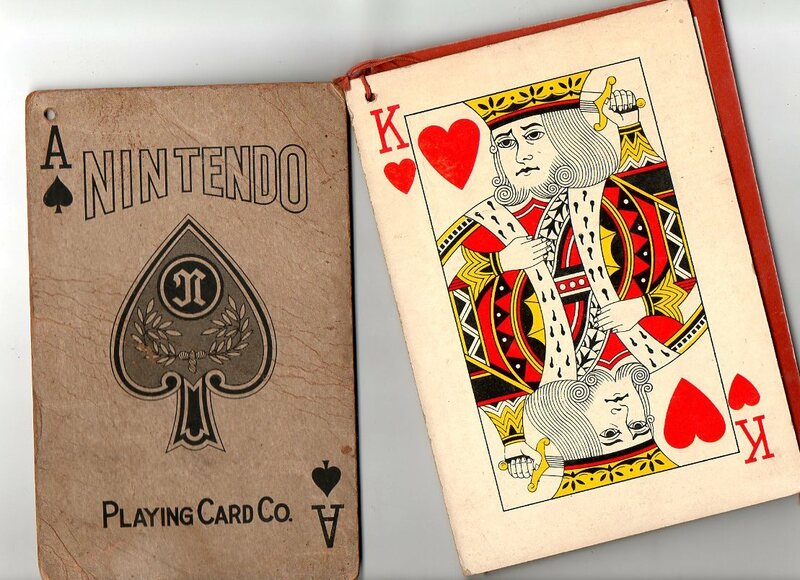 In 1933, it was formally established as Yamauchi Nintendo & Co. and later became Nintendo Playing Card Co. in 1951 before ultimately settling on Nintendo Co., Ltd. in 1963 – the same year it began making games alongside playing cards. Amazon was nearly called Cadabra, as in ‘abracadabra’… as in the conjurer’s exclamation. Bezos wanted his book retail site to be so quick and easy that it seemed like magic. 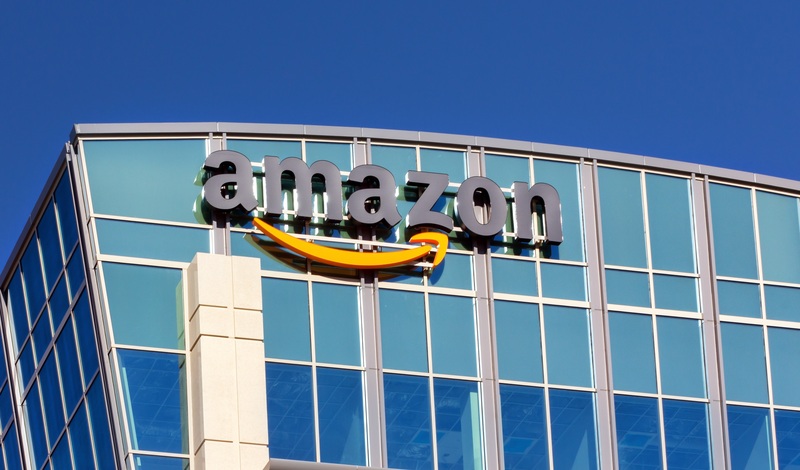 Indeed, in 1994, this is exactly the name Jeff Bezos incorporated the company under, but the site went online in 1995 with the name of Amazon, taken from the Amazon River for being the biggest river. Clearly, Bezos had big ambitions right from the start. The reason for the name change stemmed from a very legitimate fear that people could mishear cadabra.com as cadaver.com, according to the book Jeff Bezos: The Founder of Amazon.com by Ann Byers. Interestingly, The Everything Store: Jeff Bezos and the Age of Amazon by Businessweek’s Brad Stone suggests that Relentless.com was also another tabled suggestion, but that it seemed a little suspect. “Bezos and his wife grew fond of another possibility: Relentless.com. Friends suggested that it sounded a bit sinister. But something about it must have captivated Bezos: he registered the URL in September of 1994, and he kept it,” the book says. A quick whois lookup reveals the site is still associated with Amazon today and it still redirects to Amazon’s home page. This one seems to be quite widely known: Google took its name from a deliberate misspelling of Googol, the word that represents 10^100, or a 1 followed by 100 zeroes. Why this? Simply because founders Sergey Brin and Larry Page wanted to convey the huge amount of data they intended to make available. 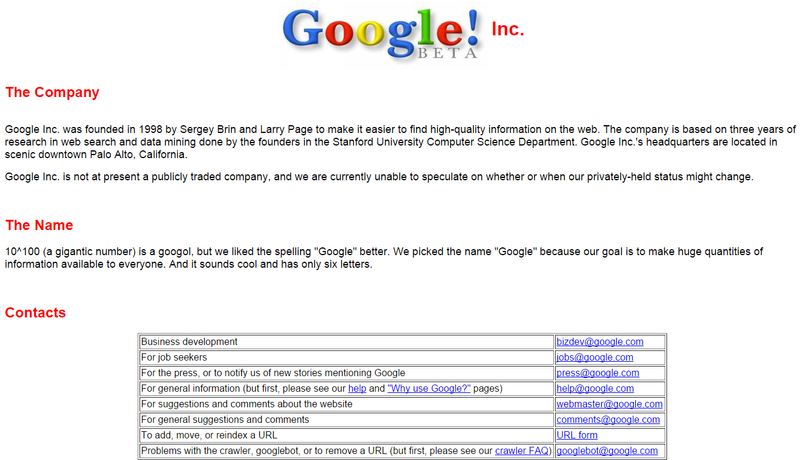 The company registered the Google domain in September 1997 and incorporated the company a year later in September 1998. In 2004, the estate of Edward Kasner, the mathematician that popularized the word Googol in the 1940 book Mathematics and the Imagination, considered suing Google over its name. No suit was filed. Microsoft may be an engrained company brand nowadays, but back in 1975, the company was just a gleam in Bill Gates and Paul Allen’s eyes. 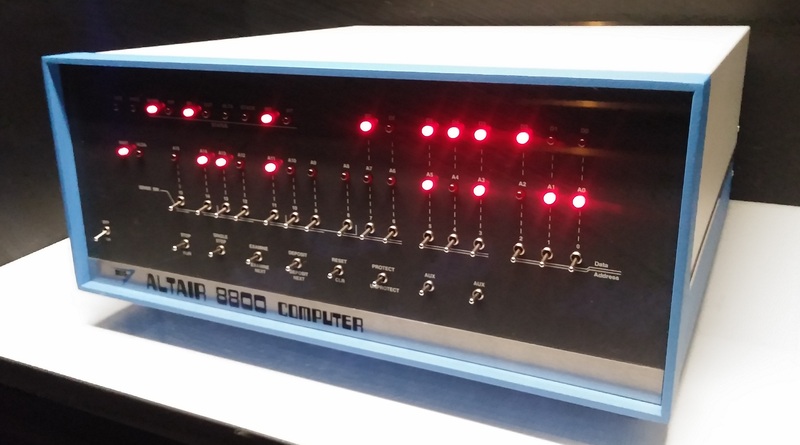 The company was officially established in April 1975, with the name coming from a combination of “microprocessor” and “software” – which is fitting given that they were creating software for the Micro Instrumentation and Telemetry Systems’s (MITS) Altair 8800. In 1977, the company opened its first international office in Japan under the name of ASCII Microsoft. The company later incorporated in Washington to become Microsoft Inc.
Fun fact: Allen and Gates founded a business together before Microsoft called Traf-O-Data which looked at raw traffic data to create reports for engineers. While it wasn’t a runaway success, it was instructive of their later venture, which seems to have turned out a little better. It’s hard to imagine many people not knowing how Facebook got its name, given the level of scrutiny the company receives – and of course, there was that movie. Nonetheless, given the social colossus it has become, it’d be remiss to leave it out. In a nutshell, it’s simply the name of the directory of students some colleges in the US give to new starters so they can get to know a little about the people around them. And yes, it was thefacebook.com for about a year after launch in 2004, until the company registered Facebook.com in 2005. In 1994, when a team at Netscape sat around to think of names for a new browser to take on NCSA‘s Mosaic browser, what they were looking for was something that would crush the competition. What they looked to was Godzilla. Combining Mosaic with the movie monster brings you to the current day name of Mozilla. 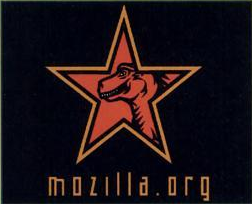 Dave Titus designed the original Mozilla mascot above in 1994.  Wikiepedia’s settling on its name is a little more convoluted than some, as it started life – essentially – as Nupedia, a free online encyclopedia that was a byproduct of Jimmy Wales’ ad company Bomis. However, due to a heroically slow production of content (12 articles in the first year), the team looked to inspiration on how to speed up the process. 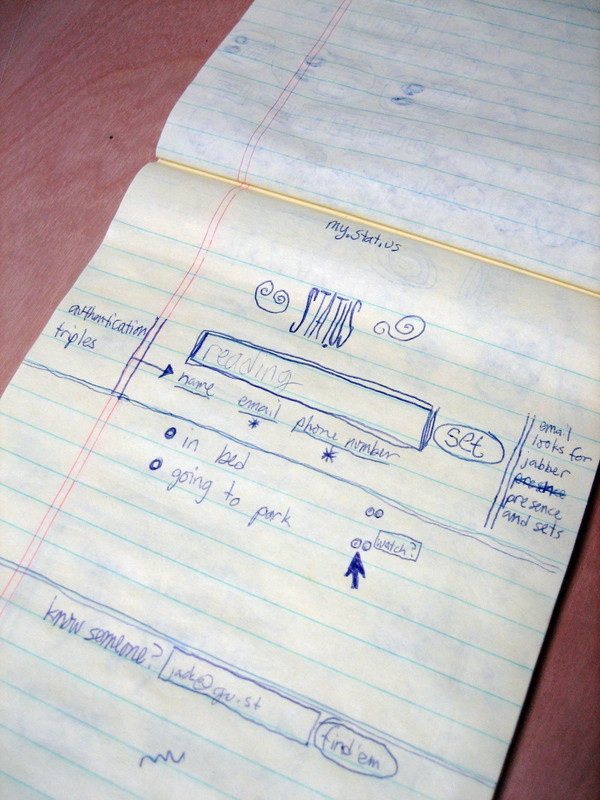 The team settled upon the idea of using Ward Cunningham’s WikiWikiWeb (one of the first user-editable websites) to drum up interest in Nupedia by allowing people to edit and contribute content themselves. The WikiWikiWeb is still alive today. Wales set on up on Jan 10, 2001. But that doesn’t fully explain the name. The word Wiki came into Web parlance as a result of Cunningham’s WikiWikiWeb, but he arrived at that name after landing in Honolulu Airport and being told to take the Wiki Wiki Shuttle. Wiki is a Hawaiian word for quick or fast. This is another simple one. 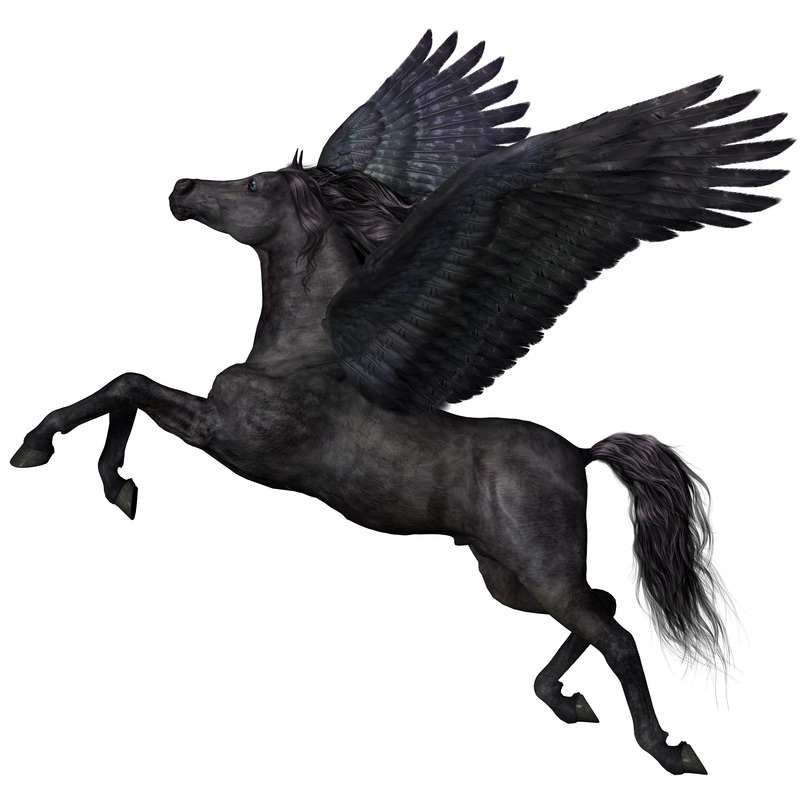 Asustek, more commonly known as Asus, was founded by four former Acer employees in 1989 who derived the name from the mythological Greek winged horse Pegasus. Why? That’s a fair question. When Lenovo’s founders sat around in 1984 to come up with a name, they left the meeting in agreement that it should be called “Chinese Academy of Sciences Computer Technology Research Institute New Technology Development Company,” according to The Lenovo Affair by Zhijun Ling. Ultimately, the group settled on Legend (in English), which is what the company was called for nearly two decades, until in 2003, it spun-out its own brand computer line into a separate business called Lenovo. The word itself is a portmanteau of Le and Novo, meaning new in Latin. 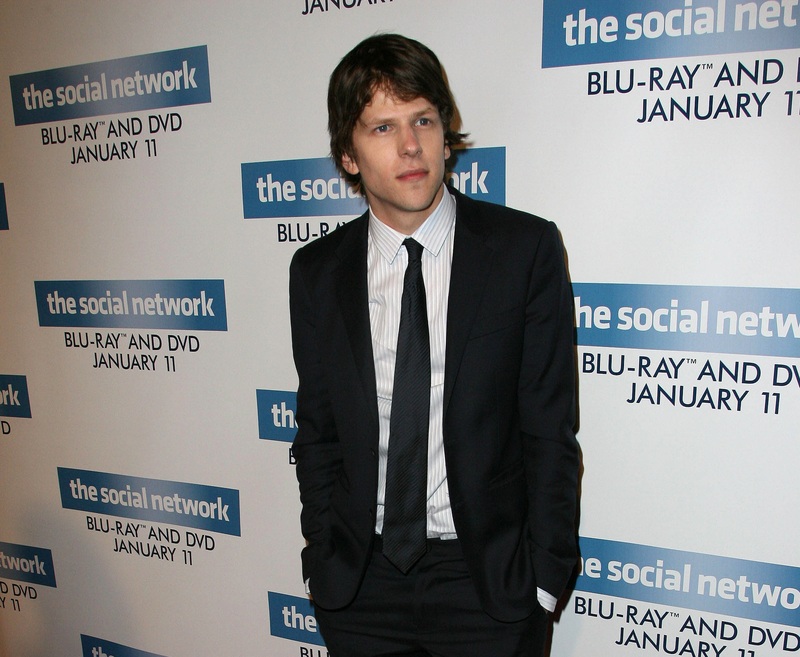 While Hulu has no definition in English – or didn’t, at least – it has dual meanings in Mandarin, both of which appealed to former CEO Jason Kilar. 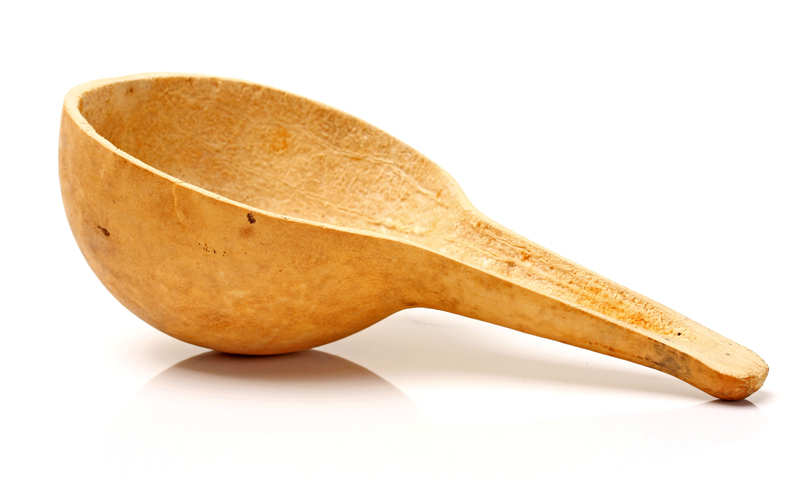 The first meaning is apprently used in an ancient Chinese proverb that “describes the Hulu as the holder of precious things” and literally translates to gourd – a plant that could be dried, hollowed out, and joined with another to create a container. Kilar said the secondary meaning is ‘interactive recording’ and that “we saw both definitions as appropriate bookends and highly relevant to the mission of Hulu”. As a bonus nugget, it also means upstream in Malay. 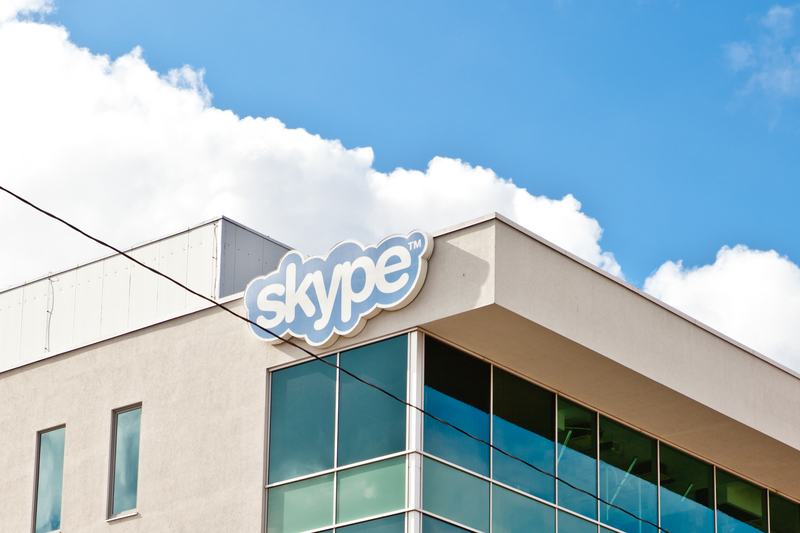 Founded in 2003, Skype is another company that draws its name from the lack of availability of the name it really wanted to use. You see, Skype is a rather straightforward combination of sky and peer-to-peer, shortened initially to Skyper, and then when that was already in use, to Skype. At least, according to former Skype employee Andreas Sjölund. This is another pretty well-known one. Twitter originally started out as twttr, inspired by Flickr, although early alpha user @crystal, apparently suggested “FriendStalker” too, according to Dom Sagolla, a colleague at Odeo where Jack Dorsey and Ev Williams were also working. But why twttr in the first place? Founded in 1994 as “Jerry and David’s Guide to the World Wide Web” by Jerry Yang and David Filo, Yahoo eventually took its name in January 1995, when the domain was purchased and the company was incorporated. But rather than being based on the actual meaning of the word ‘yahoo’ (a rude, noisy or violent person), Yahoo! is an acronym Yet Another Hierarchical Officious Oracle, although the founders did apparently like the general definition of yahoo, too. 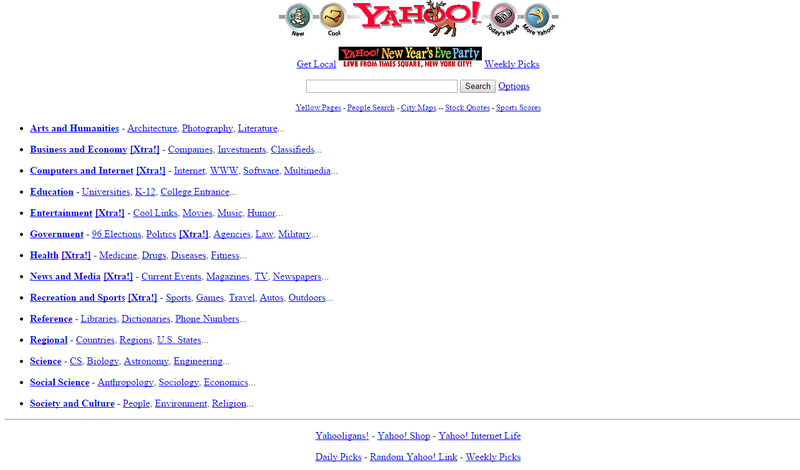 One of the categories in the screenshot above is Yahooligans! (a Web guide for kids), too. OK, so, admittedly SEGA isn’t the tech brand it once was, but it is still one a lot of people have nostalgic affection for. 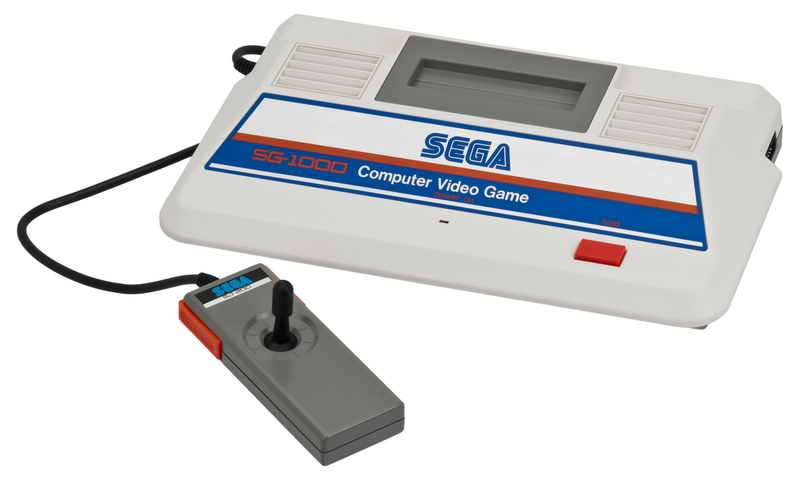 Although it was known as a Japanese gaming software and hardware giant, Sega’s roots began in Hawaii in 1940 as Service Games. In 1951 the company moved to Tokyo, Japan to make coin-operated games and jukeboxes. Following a merger with rival Rosen Enterprises in 1965, the resulting company was known as SEGA Enterprises. In 1986, Sega Enterprises went public in Japan and Sega of America, Inc. was established as a wholly owned subsidiary with the remit of adapting Sega’s Japanese video game products for American buyers. Still to this day, say SEGA, and many people just think ‘Sonic’. Here is a guide for naming your business the right way. So there you have it, the back stories for some of the biggest names in tech. Did we miss your favorite? Let us know in the comments below or on our Facebook page.